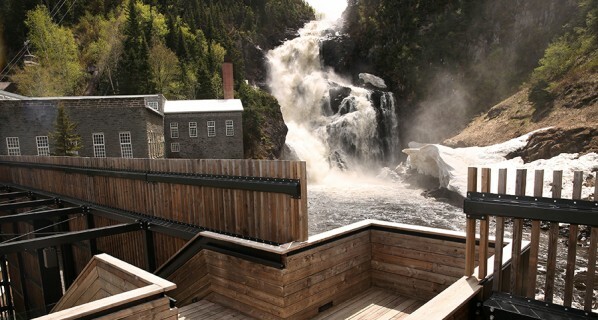 The dam at the Ouiatchouan Falls is an integral part of the industrial complex inaugurated in 1902. During the era of the industrial village, the hydroelectric installations powered the mill, and provided electricity to homes in the village. The current mini power plant project has been undertaken in a spirit of architectural integration. 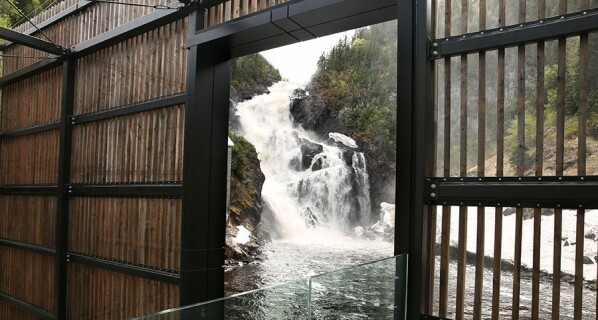 With an eye to tourism, an aesthetic flow is assured at the Ouiatchouan Falls during hours of operation. The 1901 dam was situated at the head of the Ouiatchouan Falls. With a height of 9 metres (28 feet), it was plainly visible. The current dam, situated about 130 metres upstream from the Maligne Falls, was more hidden. This is a sloped-crest dam of continuous flow, which reaches a height of 2.1 metres above the level of the river. Invisible from the Maligne Falls observation post, the dam is only accessible from the west side of the river (the camping side). Water is carried from the dam via a supply tunnel dug into the mountain to the east of the mill. The mini power plant faces the falls and the mill. Despite its position and its imposing size (13 metres wide by 26 metres long by 14 metres high), a visitor might still ask, "where's the power plant?"... because the building is completely buried under the ground! In fact, the roof serves as a lookout at the level of the esplanade. In this way, the "postcard" scenery of Val-Jalbert is preserved. The architectural plans were conceived with the aim of creating new lookouts over the river and the falls. 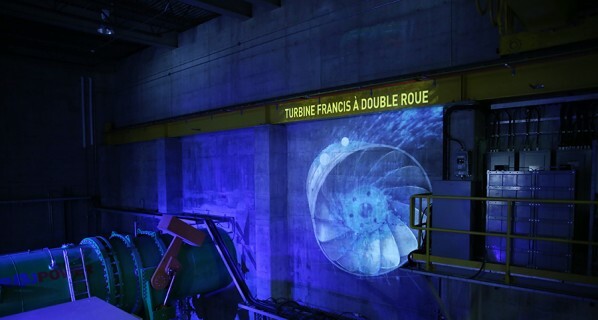 Inside the mini power plant, an interpretive program has been developed, including a high-angle view over the turbine room. In addition, a previously unseen access brings visitors to the old turbine room inside the 1901 mill. 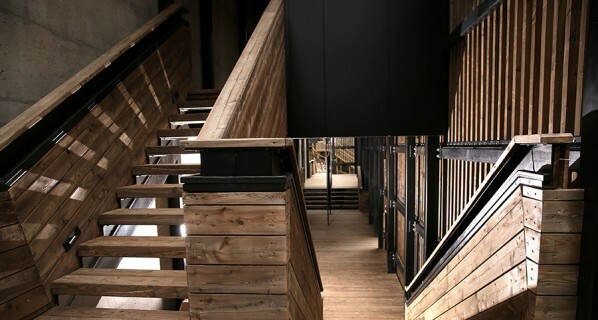 This is the bridge between the old and the modern! You will find that the type of turbine used is the same in both eras. 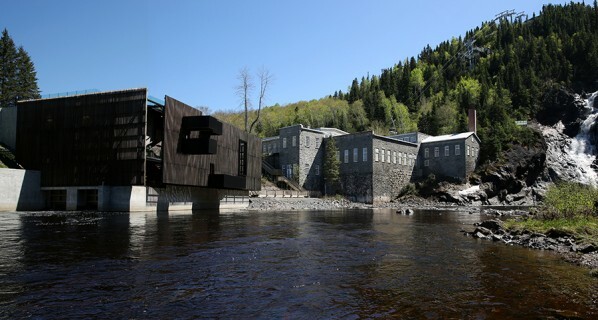 The Société de l’énergie communautaire du Lac-Saint-Jean, the promoter of the mini power plant on the Ouiatchouan River, has reached an agreement with Hydro-Québec: the electricity produced at Val-Jalbert is sold to the crown corporation. The economic benefits for the four regional partners of the project : Pekuakamiulnuatsh Takuhikan, the Domaine-du-Roy MRC, the Maria-Chapdelaine MRC, and the municipality of Chambord are in the order of $90 million over a period of 25 years. Val-Jalbert will receive $19.8 million over 40 years, which will enable the heritage site to sustain itself for years to come. This will include the upkeep of period buildings and the improvement of visitor services. 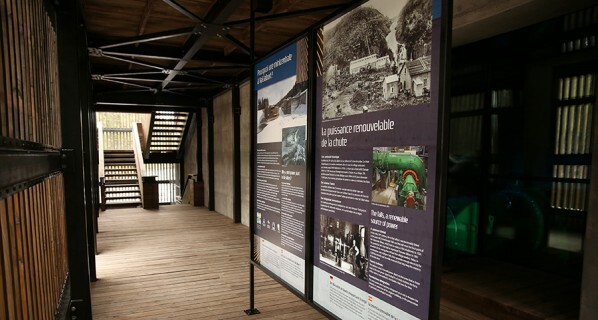 The mini power plant integrates perfectly with the interpretation program at the site, and constitutes an added dimension to any tourist visit. 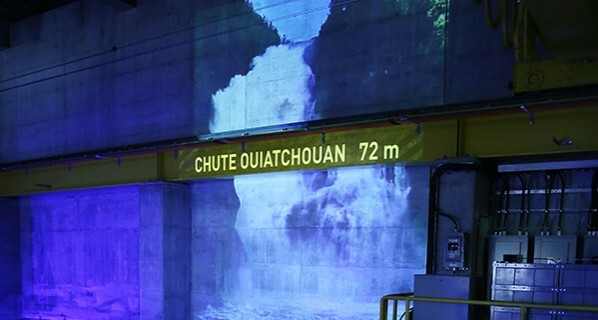 The project to exploit the hydroelectric potential of the Ouiatchouan River was first launched back in the fall of 2009. It was at that time that the promoter, the Société de l’énergie communautaire du Lac-Saint-Jean, organized a series of consultations to inform the public about the project. A process of pre-consultation and impact and information studies followed. In the spring of 2012, the Bureau d’audiences publiques sur l’environnement launched its investigation and delivered its report. 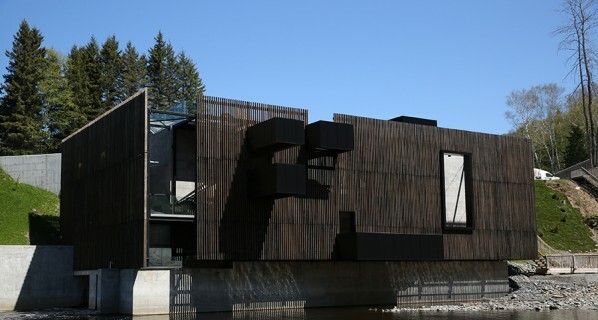 The Conseil du Patrimoine culturel du Québec then presented a favourable report in the fall. Finally, in December 2012, the promoter received approval from the government. Construction began in February 2013, with a termination date, about 20 months later, at the end of 2014. Beginning in January 2015, a series of tests took place on various equipment. 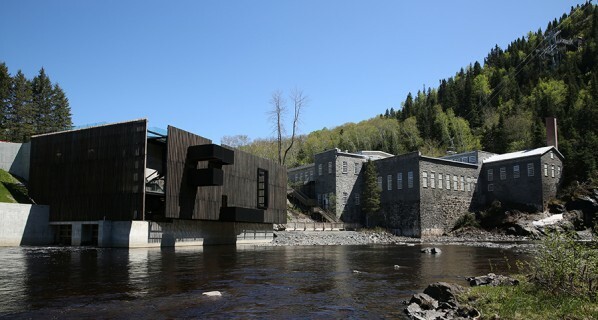 On February 6, 2015, at 0:00 a.m., the mini power plant was officially put into operation, according to the terms of the contract signed with Hydro-Québec Distribution. The installed power capacity at the plant is 16 megawatts, for an annual delivery of 78,094 megawatts/hour.